I’ve always loved cooking and baking. From a very early age, I was helping my mother in the kitchen or whipping up what I called “Courtney Creations.” However, it wasn’t until 2006 that I had a travel “a-ha” moment. My husband and I were planning our one-year anniversary trip to Italy. 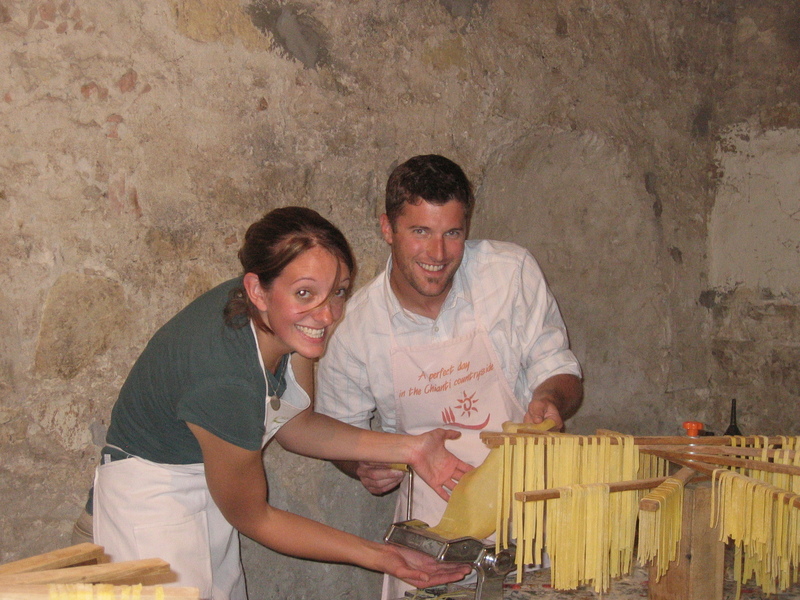 I was researching things to do while we were there and a pasta-making class popped up. Hmm, I have always wanted to learn how to make fresh pasta….and I love Italian food…and free-flowing Chianti wine, YES please! 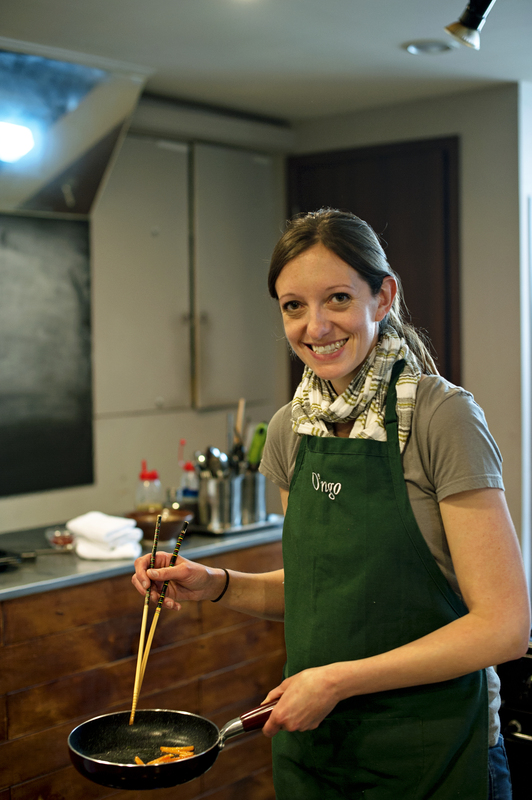 I promptly signed us up for our first cooking class in a foreign country. Seemed like a small decision at that point in our lives but it has forever changed how I/we travel the world. The class was loads of fun! We rolled pasta, made friends with our fellow students, laughed over our “red” pasta when one person dumped wine all over the pasta, and had a leisurely late lunch with “family” because let’s be real, we felt like family at that point! There’s something about joining around a table after learning and cooking together that makes you feel connected to those around you more than any other type of tour. It was definitely one of the highlights of our trip and our pasta-making skills have now been shared with many hungry guests in our home. Fast forward seven years and I have now taken cooking classes and food tours around the world from Spain to Japan. The latest one was on my girls weekend trip to Seoul. 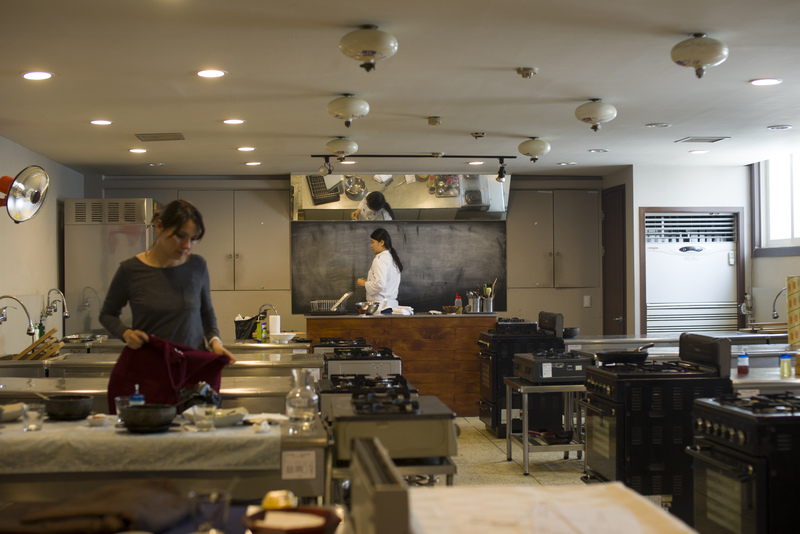 Our entire trip to Seoul focused on one of three things: food, photography, and more food. Ok, maybe we mixed some sightseeing into there but you get the point, we were there for Korea’s delicious food and to document this culinary adventure with our cameras. 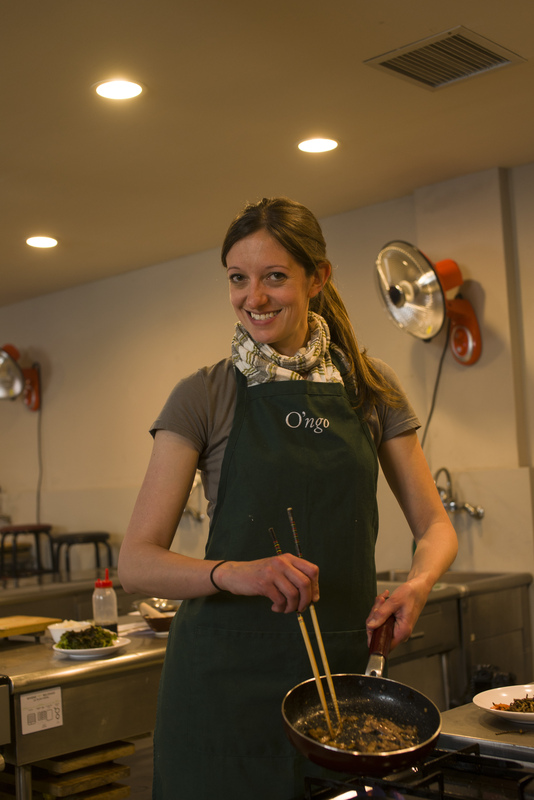 We signed up for a custom cooking class by O’ngo Cooking School. We all love the Korean dish bibimbap which consists of white rice, marinated beef, several types of vegetables, egg and the spicy gochujang sauce. It can be served in a metal bowl, or our preferred way, in a heated stone bowl. The class started at 10AM on but we arrived a little late. Note to fellow travelers to Seoul, the taxi drivers do not know where they’re going and/or they cannot be inconvenienced by dropping you in front of the building. So while the taxis are cheap, we would’ve been better off taking the metro because of clear directions from the metro stop. Instead, we had a taxi driver who dropped us on a major road and pointed down a road before driving off. After 45 minutes of wandering the streets, asking for directions and retracing our steps, we finally stumbled into the cooking school 30 minutes late. 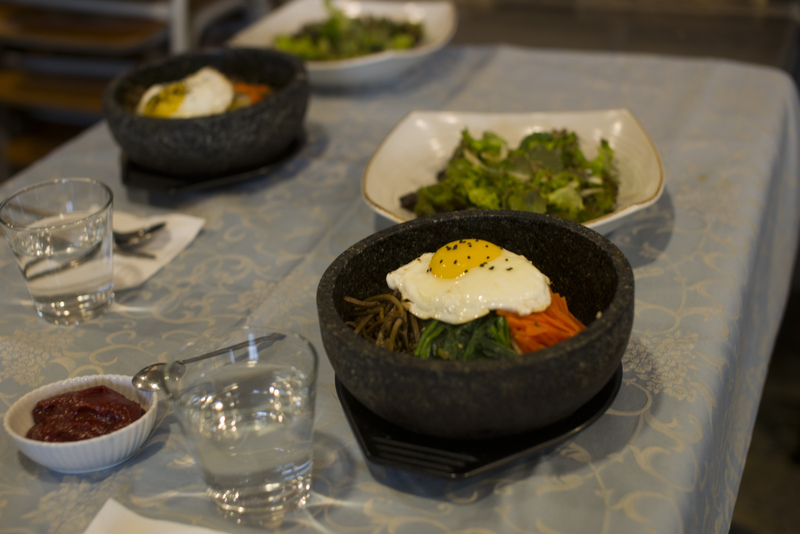 We quickly washed our hands as our instructor began preparing and showing us how to recreate the stone bibimbap dish. The dish is relatively easy and can be cooked quickly in the house. It just requires chopping, marinating and then cooking the meat and several vegetables. 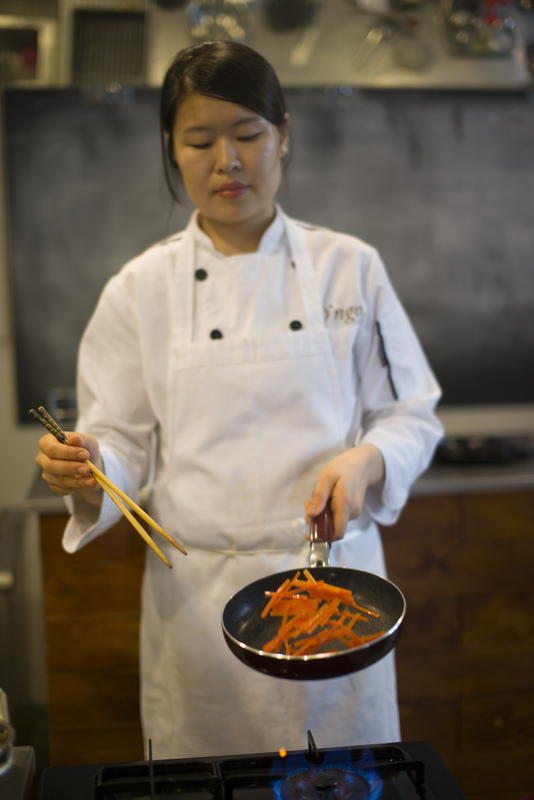 Our instructor said that Koreans prefer around 5 different colors in the bibimbap dish (and that works beautifully for food photography as well!). After she completed her demonstration, it was our turn to whip out the dish. We had fun chopping, cooking and taking pictures along the way. 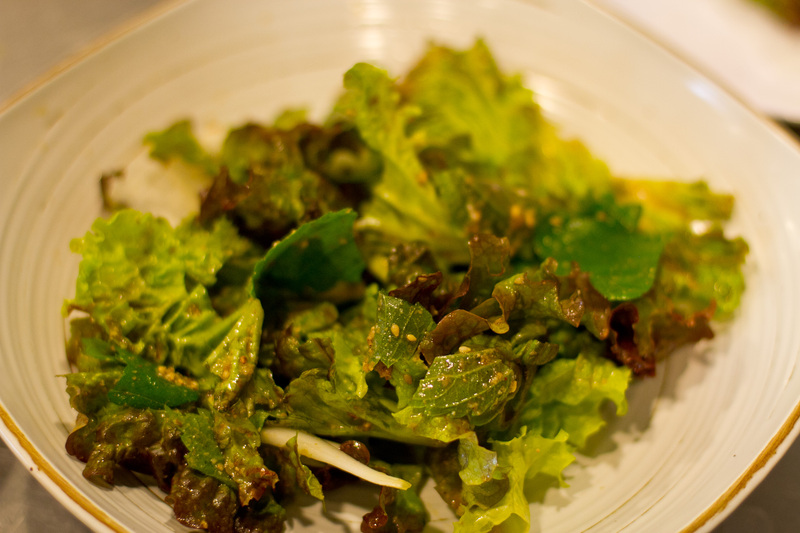 While our stone bibimbaps were sizzling on the stovetop, we prepared a simple mixed green salad. I had never thought of a mustard-sesame dressing but it was divine. The dressing was easy to whip up with mustard, soy sauce, rice vinegar, sugar, sesame oil (Korean sesame oil is fabulous – seek it out!) and sesame seeds. 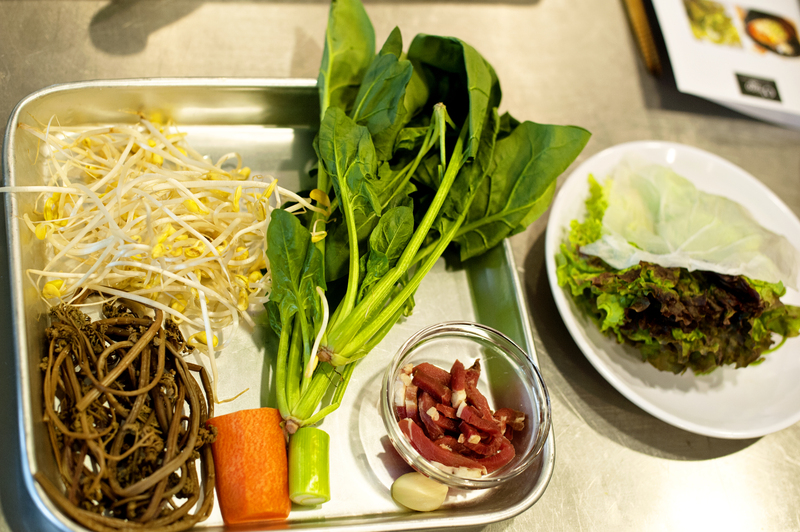 The surprise ingredient to the salad greens was sesame leaves which Koreans think are a good mix with meals that serve meat. Once everything was cooked, we were able to sit down and enjoy our lunch together. We took plenty of pictures prior to eating but once we did, the room became quiet. The type of silence that comes from enjoying your hard work learning a traditional dish of the culture you’re visiting. 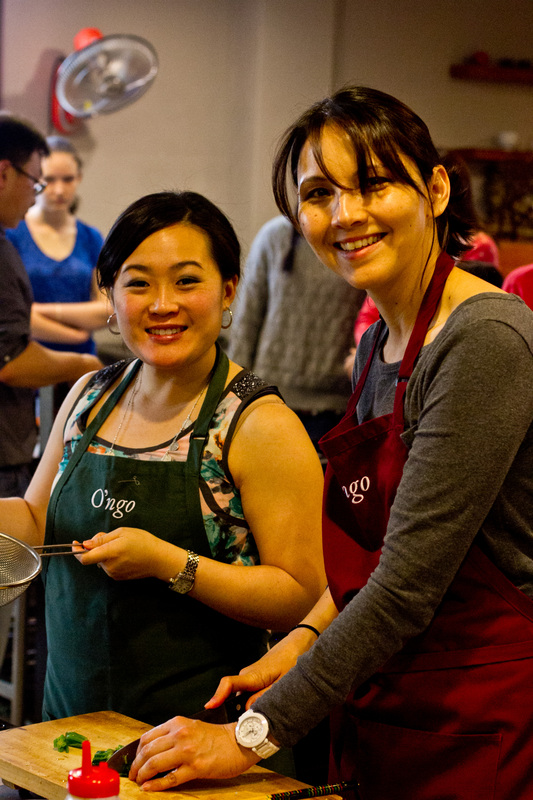 It was a great experience and we thoroughly enjoyed our time at O’ngo Cooking School. 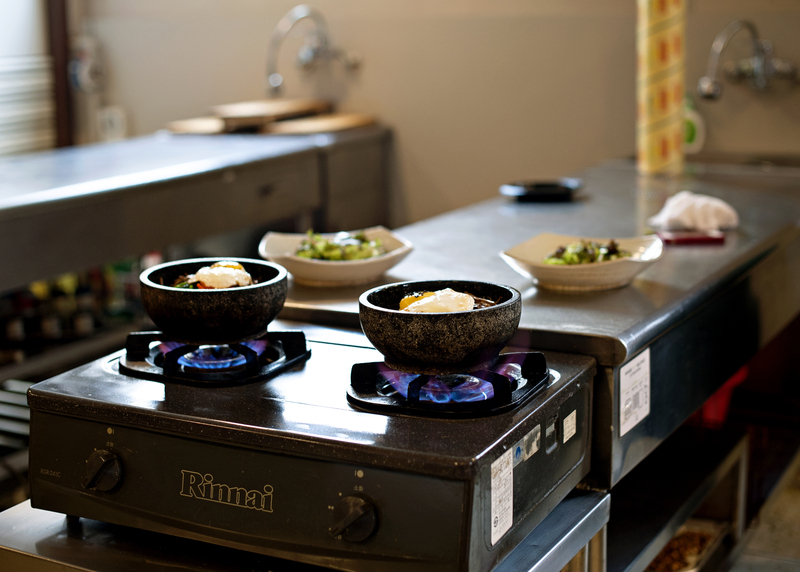 The company offers cooking classes as well as food tours around the city in English. We were unable to do on any of those tours but I hope to next time I visit Seoul. I’ve included a mixture of photos from the cooking class. My friends allowed me to share their photos as well. It’s nice having friends who are such talented photographers! Now it’s my turn to cook! 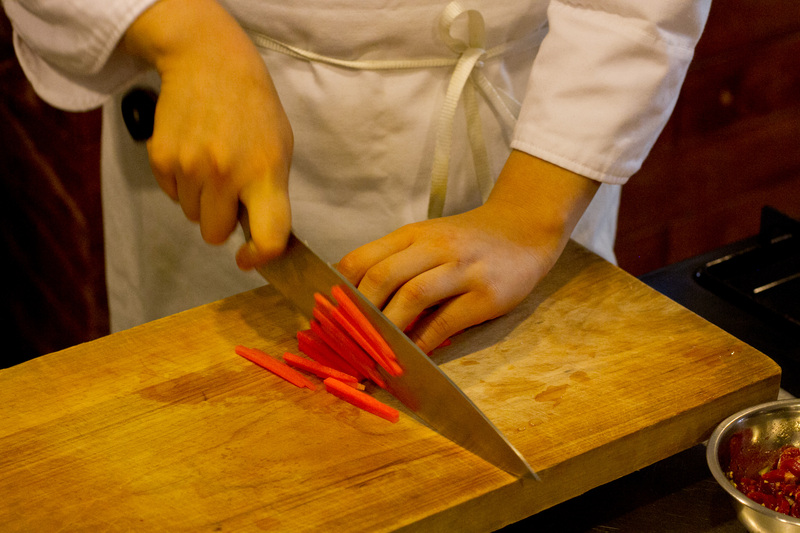 thank you so much for writing a post about our cooking school. We hope you’ll come back again and join us again in the future. Daniel – We loved our time at O’ngo and definitely hope to make it back. This time I’m hoping for a market/night tour to check out another area.